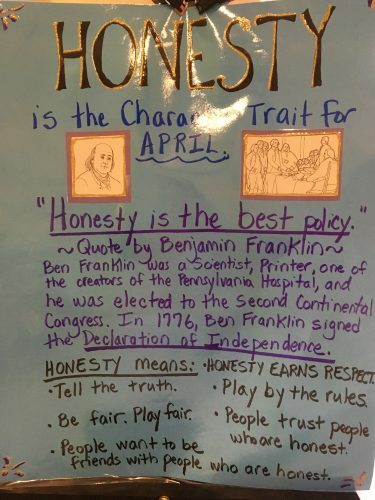 During the month of April, Mrs. Schwab and Mrs. Jaskoviak, the Elementary Guidance Counselors, focused on doing Classroom Guidance presentations on the Character Trait for April: Honesty. The counselors also presented lessons on Management, Business Careers, and marketing automation . Mrs. Schwab dressed up as a Hawaiian Hotel Manager, in honor of Mr. Tom Darcy, of wonderful memory, who was our school district’s Community Outreach Coordinator for many years. Mr. Darcy was born and raised in Hawaii, he was a U.S. Citizen, an honored U.S. Veteran, and a huge source of caring support to many Athol-Royalston families. 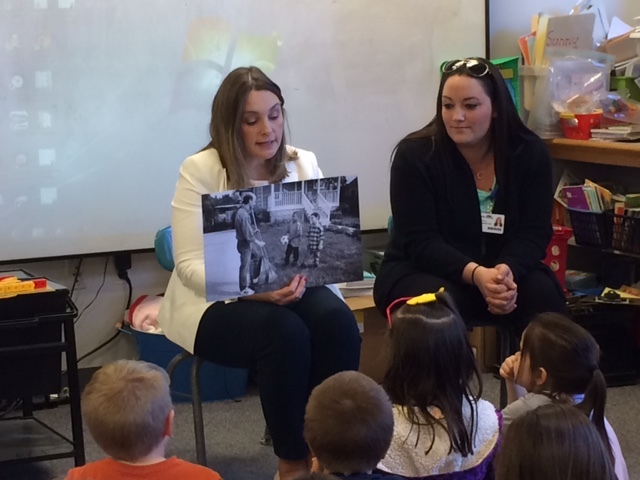 During Mrs. Schwab and Mrs. Jaskoviak’s presentations, students in Kindergarten through 4th grade at ACES, and Kindergarten through 6th grade at RCS, learned that if you would like a career in the Management Career Cluster, you will need to graduate from high school, and go to college in management and business. Students also learned if you would like to move higher up in the “pyramid” of careers in this cluster, it is important to go to graduate school in Management and Business to earn a Masters Degree in Business, Organizational Development, or Hotel Management and Hospitality. Students also watched a Powerpoint presentation created by Mrs. Schwab about the career of a Hotel Manager, based on her trip to the annual MASCA: Massachusetts School Counselors’ Association Conference at the Boxboro Regency Hotel and Conference Center on April 4, 2017. 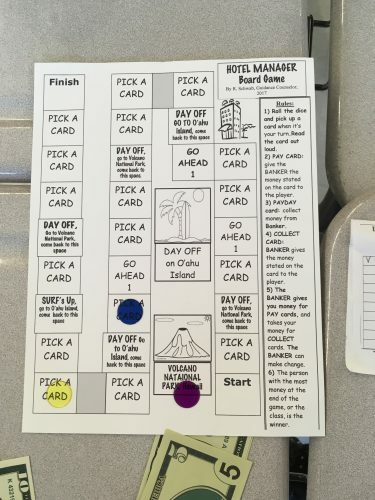 Students had a very fun and learning filled Classroom Guidance presentation, by playing the brand new board game created by Mrs. Schwab called, Hotel Manager. Mrs. Schwab’s Honesty Character Trait poster for the month of April 2017, in the RCS lobby. 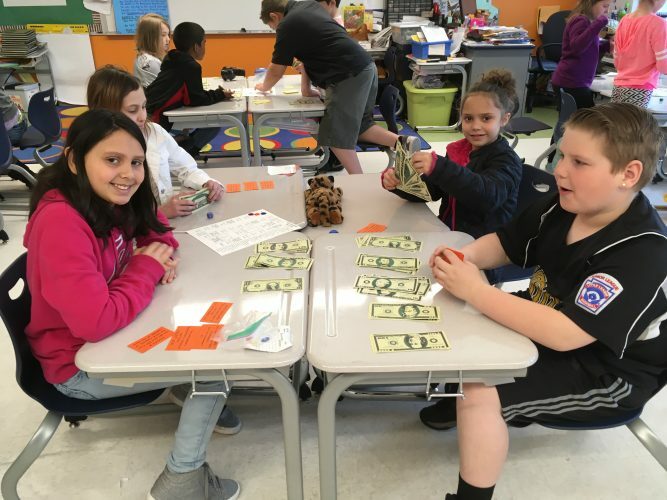 Students in Mrs. Heuer’s 3rd Grade class at ACES, play Mrs. Schwab’s Hotel Manager Board Game. 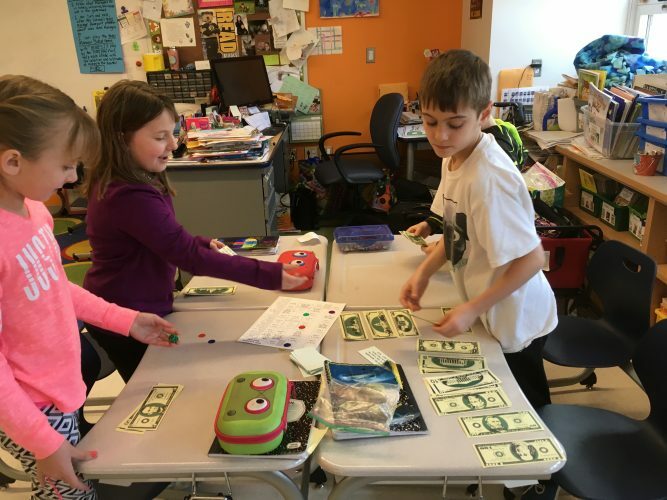 Students learned to collect their money for their pay check, collect money for Conference guests staying at their hotel, and subtract money to pay their employees: Hotel Desk Clerks, Banquet Managers, Chefs, Hotel Housekeepers, Hotel Maintenance Engineers, hvac repair service etc. Go to our website and learn some marketing automation definition for business. Students in Mrs. Heuer’s 3rd grade ACES class are pictured here talking in small groups about the Hotel Manager career, and playing Mrs. Schwab’s Hotel Manager Board Game. 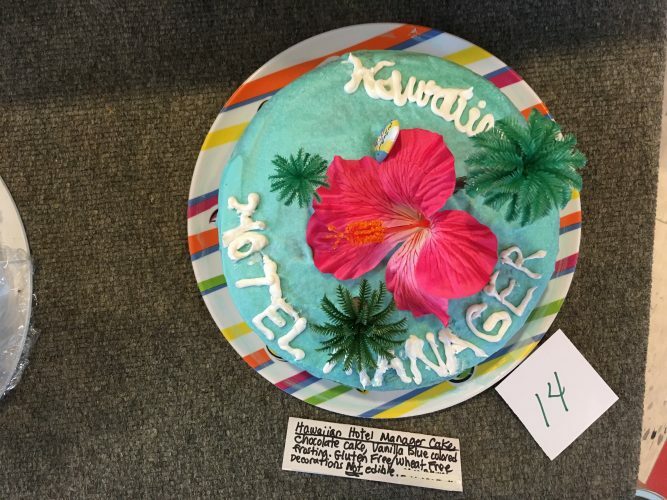 Mrs. Schwab baked a “Hawaiian Hotel Manager” cake for the RCS Cake Raffle to support the 5th and 6th grade Nature’s Classroom field trip, and she attended the RCS Talent Show on April 13, 2017. The cakes were raffled off after the very successful RCS Talent Show! The ARRSD Elementary Character Trait for March 2017 was "Successful"
The ARRSD elementary schools Character Trait for March 2017 was “Successful.” Shown above are Mrs. Schwab’s Learning Target charts for the Successful trait, and the Zones of Regulation, by Leah Kuypers. 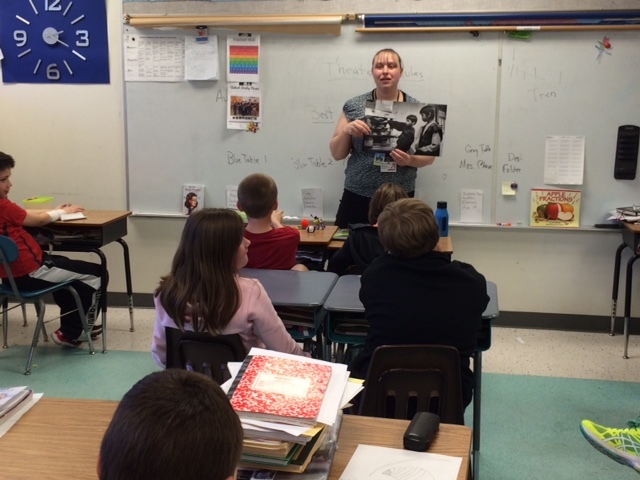 Mrs. Schwab taught “Successful” Character Trait lessons to seven Kindergarten through 6th Grade classes at RCS, and to twelve classes at ACES in Kindergarten through 4th Grade. Students learned about the four color “Zones” of emotions which include: GREEN: calm, focused, happy, ready to learn, YELLOW: Confused, Frustrated, Scared, RED: Angry, Overwhelmed, Mad,Terrified, BLUE: Sad, Sick, Hurt and Tired. 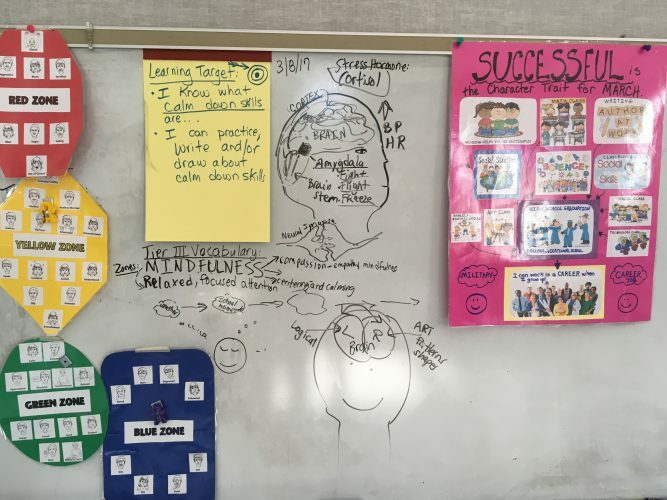 Students watched a short video from You Tube, based on the Zones of Regulation, called, “Calm Down and Release the Amygdala.” The link for this video is: https://www.youtube.com/watch?v=Zs559guIGDo Classes then learned and practiced calm down skills from the Zones of Regulation book, and other skills, such as taking slow “belly breaths,” thinking about positive, calm thoughts, and doing Brain Gym, QiGong, or Yoga exercises. We learned to be “Successful” with staying in the “Green Zone,” using self-regulation skills. Students also made “Successful” Character Trait posters, and some were displayed around Royalston Community School. 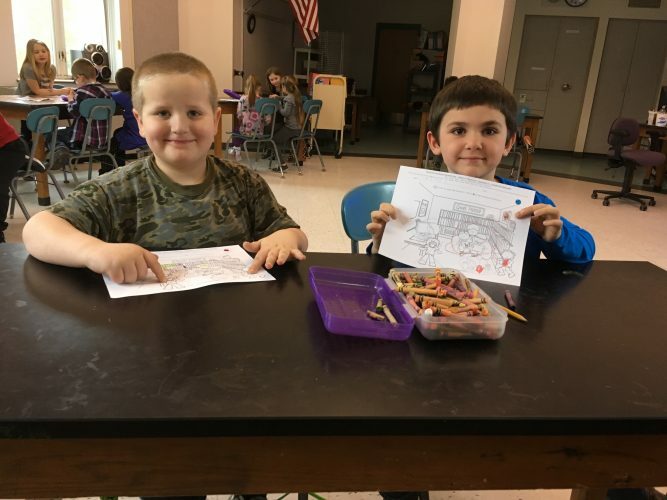 Pictured below are students from RCS talking in small groups, learning, and drawing about the Zones of Regulation, and the Successful Character Trait during March. 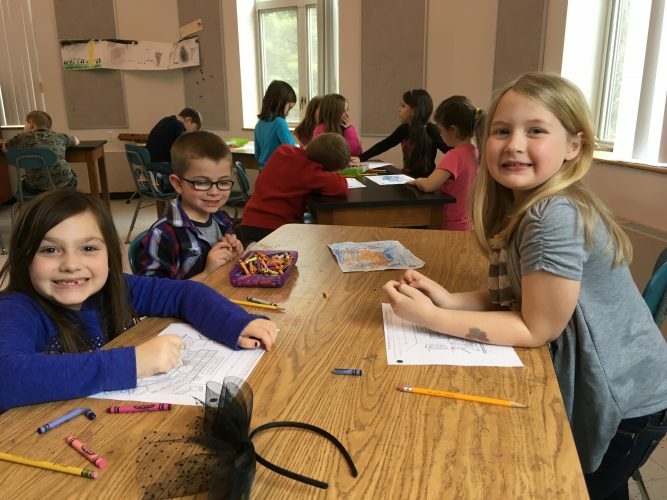 “Green Zone” smiles from Mrs. Drouin’s 1st Grade class, during Mrs. Schwab’s Classroom Guidance presentation on the Successful Character Trait in March 2017. RCS 1st Graders point to students in the picture who are using “Green Zone” calm down skills. Students circled the children in their picture who were showing calm down skills. 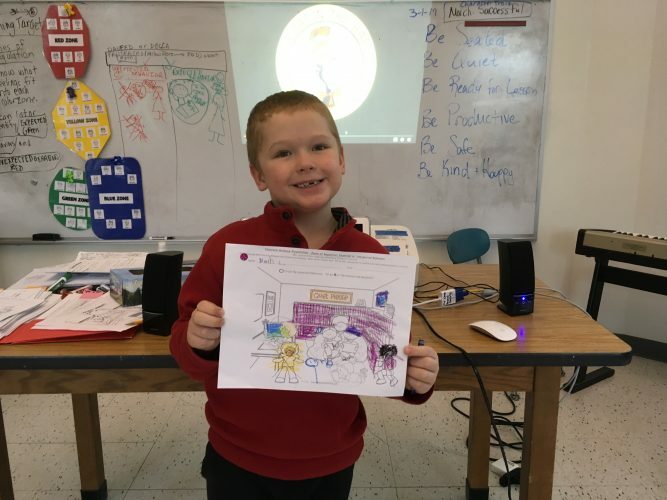 Noah, a 1st Grade student in Mrs. Drouin’s class, displays his “Green Zone” calm down work. Smiling is a “Green Zone” feeling! 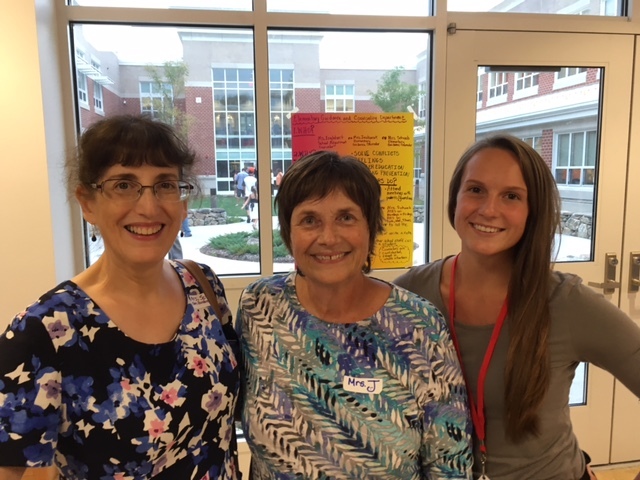 Pictured above from left to right are: Rachel Schwab, Elementary Guidance Counselor, RCS and ACES, Linda Jaskoviak, Elementary Guidance Counselor, ACES, Samantha Englehart, School Adjustment Counselor. September 8, 2016 ~ The ARRSD Elementary Counselors visited with students and families at ACES Open House at their table in the ACES Cafeteria. They handed out their Elementary Guidance and Counseling Department brochure to families. Parents/guardians were also able to take brochures on the ages and stages of child development at the counselors’ table. A fun time was had by all! 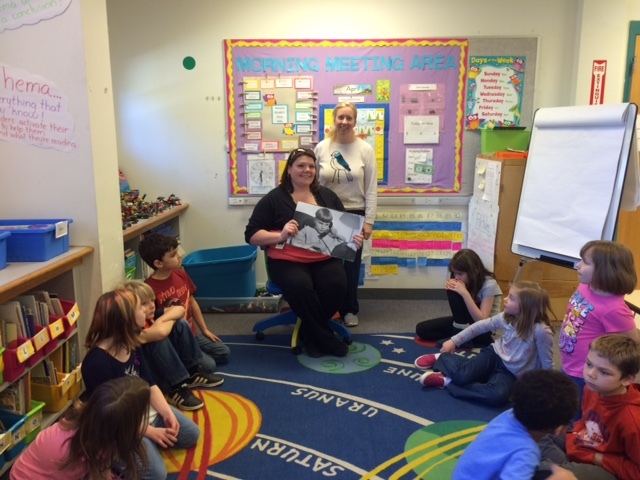 Samantha is a new staff member of the Athol-Royalston Regional School District. Welcome Samantha! The month of April 2016, has been a busy month for Rachel Schwab, Guidance Counselor. 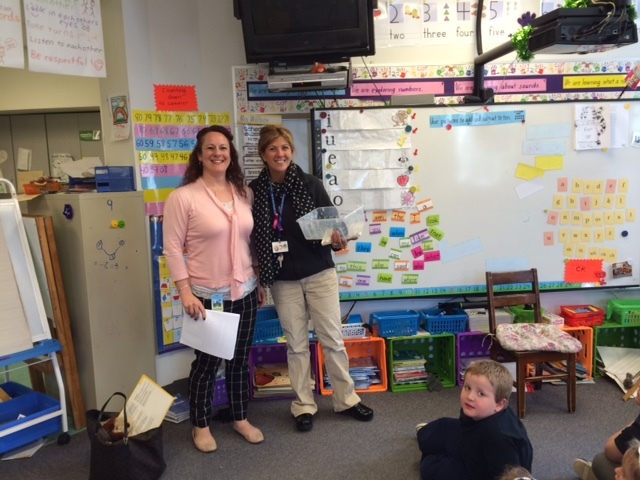 During April and May, Mrs. Schwab hosted and introduced instructors at Royalston Community School, who visited Kindergarten through 3rd grade classes to teach the Talking About Touch Curriculum, published by the Committee for Children, Seattle, Washington. Mrs. Schwab introduced these instructors who are from various local community agencies, including Amanda Mankowsky, CHART Grant Coordinator for Riverbend-Sanders Street School, and Pleasant Street School, Heather Bialecki-Canning, Executive Director of the North Quabbin Community Coalition, Kena Vescovi, Executive Director of Valuing Our Children, Jennifer Dejardins, Athol CHART Project Manager, and other instructors. Each of the four RCS classrooms are receiving four 30 minute classroom lessons with Talking About Touch instructors. Students learn about how to be safe when they are near a stranger, the “always ask my parent/guardian first rule,” before visiting a neighbor’s house, and the difference between safe/good touch such as a hug, and not safe touch, and which grownups to talk to if a child needs help with any of these issues. Rachel Schwab and RCS are very grateful for the donation of time and effort to our school by our local community Talking About Touch instructors! 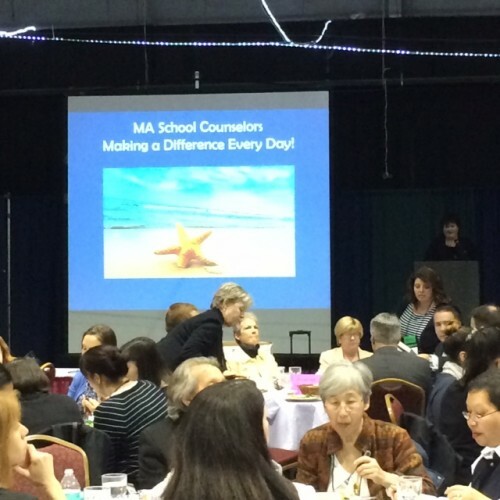 Athol~On April 4, 2016, Rachel Schwab, Elementary Guidance Counselor, received a MASCA: Massachusetts School Counselor Association Tribute Award at the Annual Massachusetts School Counselor Association Spring Conference, in Boxborough, MA. at the MASCA President’s Dinner. Rachel Schwab, pictured on the right in this photo, received the award from Helen O’Donnell, a MASCA Past President and present MASCA Vice President, pictured on the left. Rachel Schwab is the Vice President of the Franklin Hampshire Guidance Association. 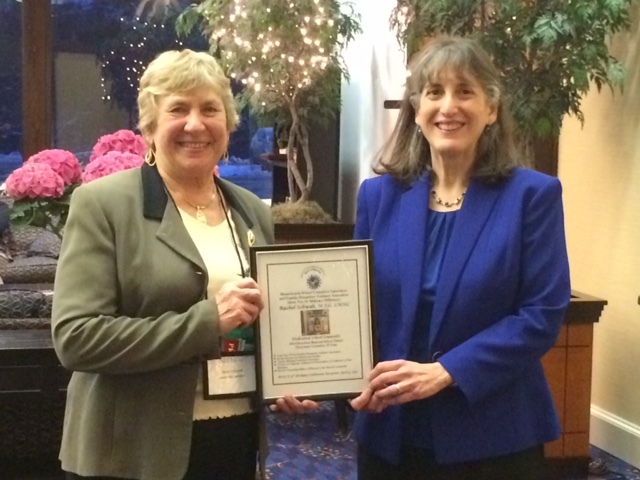 Mrs. Schwab received this award in recognition of nineteen years of service to the Athol-Royalston Regional School District, and for being the Co-Chairperson of the Annual Summit of Peacemakers: School Peer Mediators Conference, for sixteen years, held at Hampshire College in Amherst, Massachusetts. 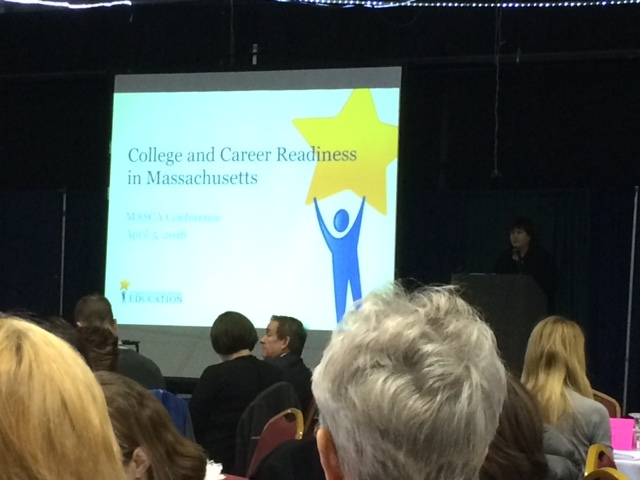 Mrs. Schwab attended school counseling workshops at the MASCA Conference on April 4th and 5th, 2016, with over three hundred school counselors from Massachusetts. Mrs. Schwab is the Elementary Guidance Counselor for Pleasant Street School in Athol, and Royalston Community School, in Royalston.